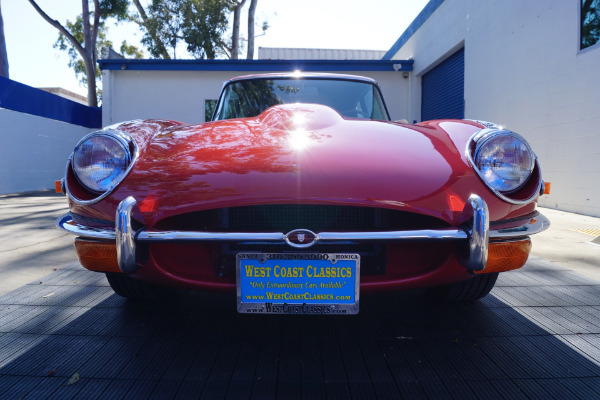 West Coast Classics are proud to present a rare barn find (garage really!) of a totally rust free example of this 1969 Jaguar XKE E-Type Series II 2+2 coupe with a desirable 4 speed manual transmission and its original 6 cylinder 4.2L/246HP matching #'s engine in 'Carmen Red' with a beautifully kept 'Black' leather seats interior and boasting all five original Jaguar chrome wire wheels and jack! 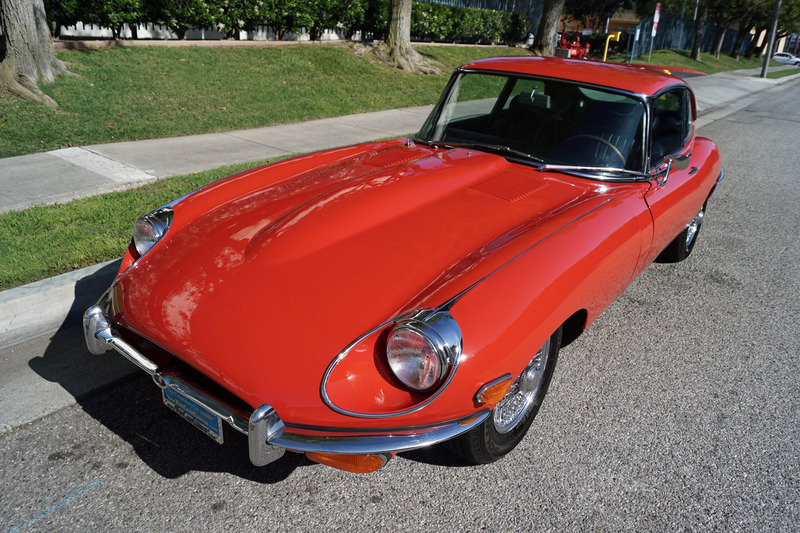 and which will be sold with an original owners manual. 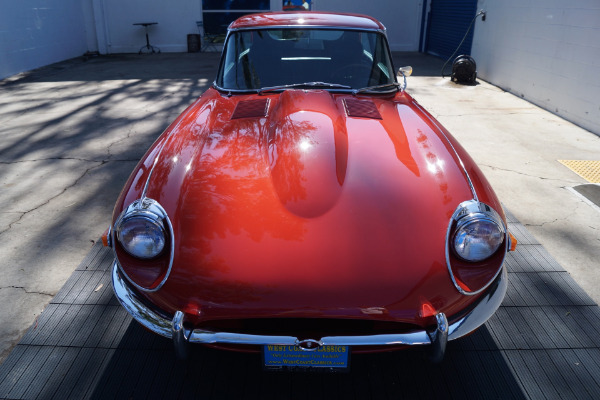 The car is reported to have only some 75K original miles and the floor boards and all the typical rust-prone areas are completely solid and rust-free. 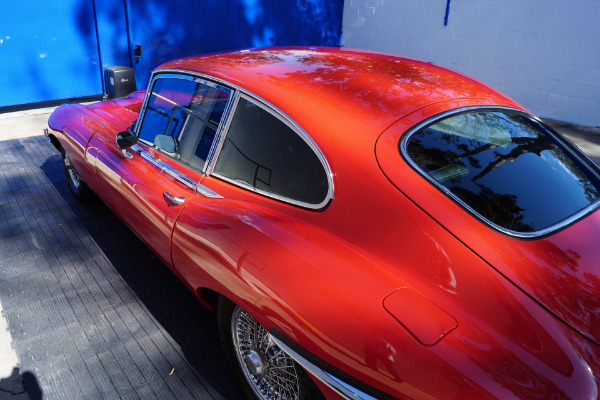 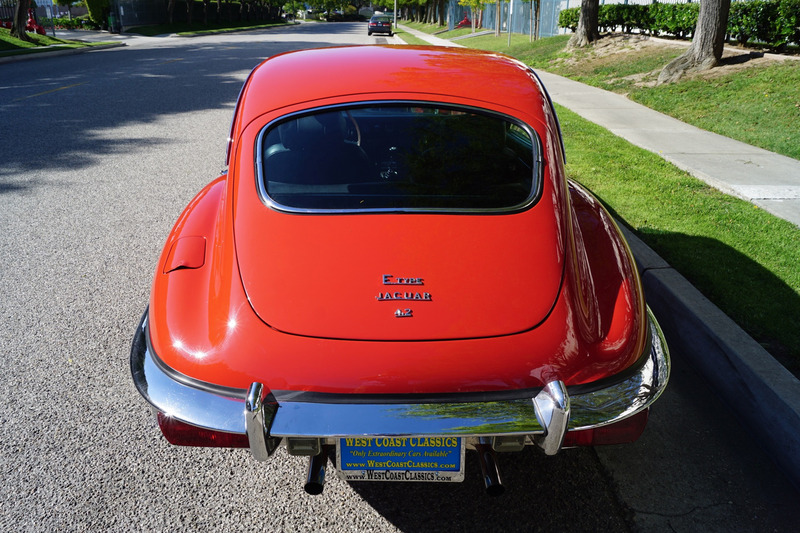 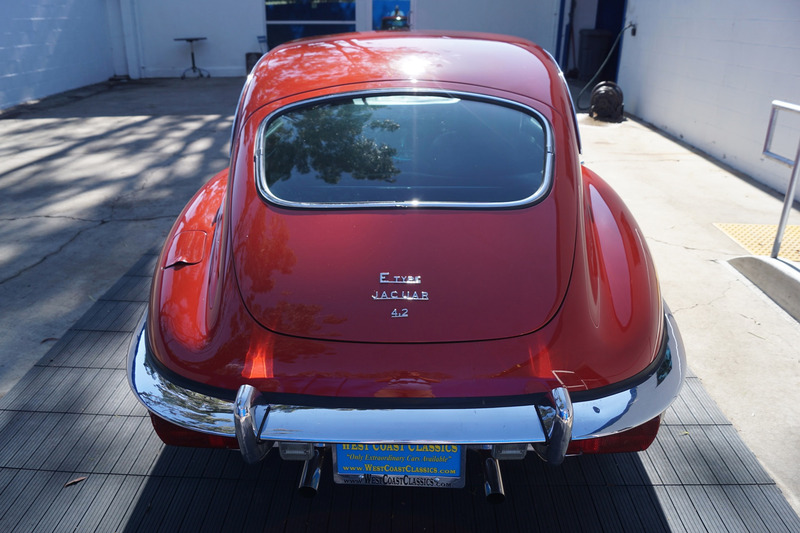 It has an older and very good repaint in Jaguar's 'Carmen Red' color and a nicely kept leather interior, with the door panels, headliner, dashboard and carpets all in very fine condition and with reupholstered front leather seats. The chrome is all very good and the car has it's original chrome wire wheels and spare wire wheel and jack located in the trunk. 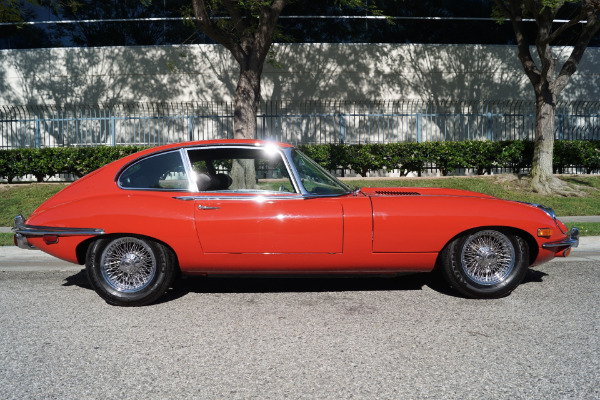 The Series II XKE E-Type Jaguar was only built between the years 1969-71 and there were only 5,326 Longer Wheel Base 2+2 coupes built with very few manual transmission models built. 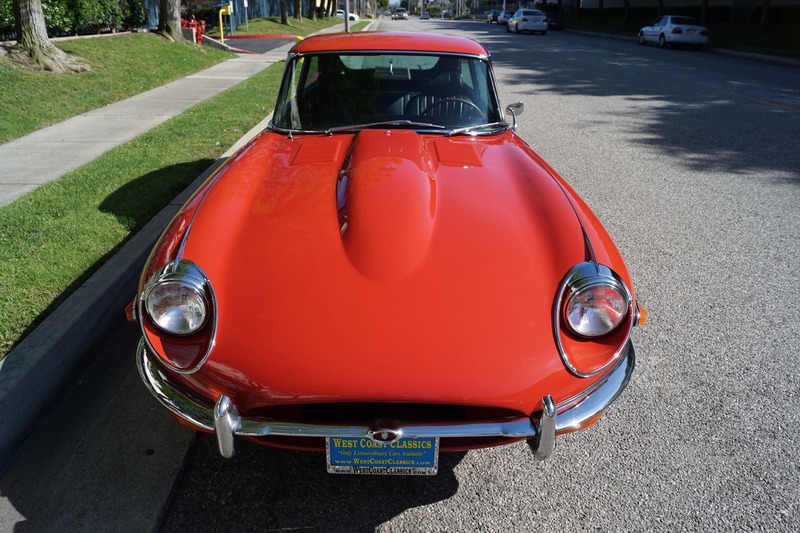 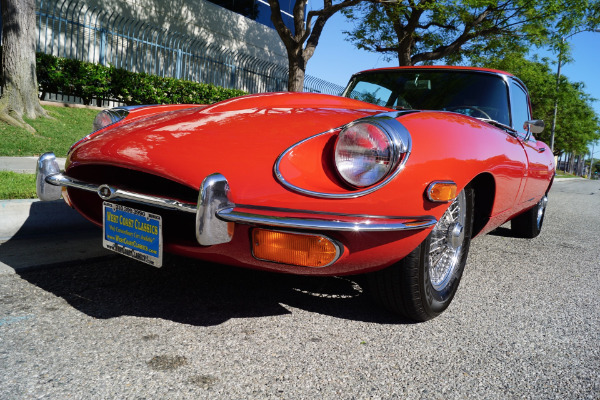 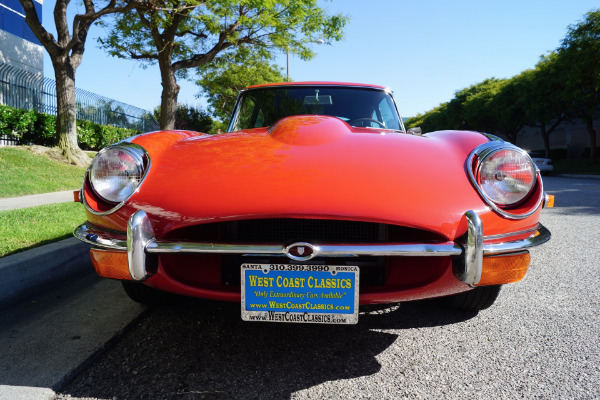 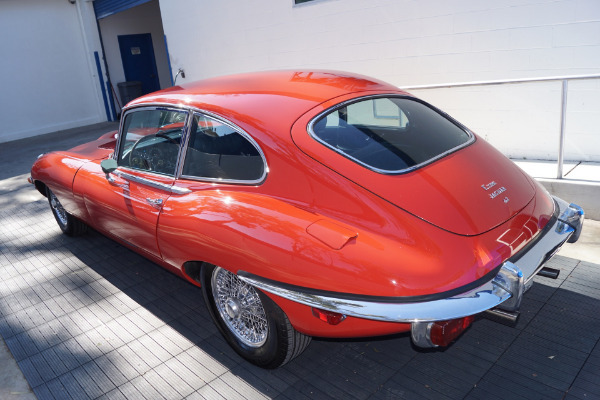 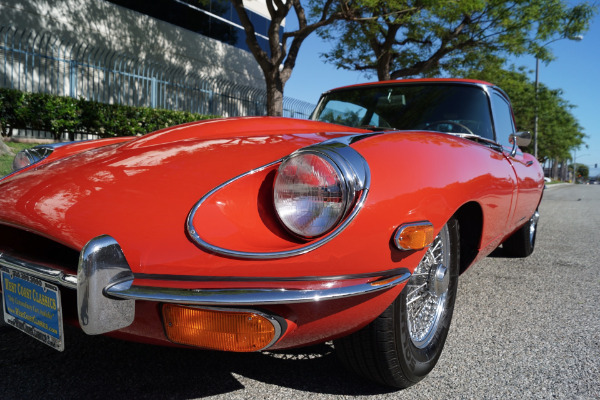 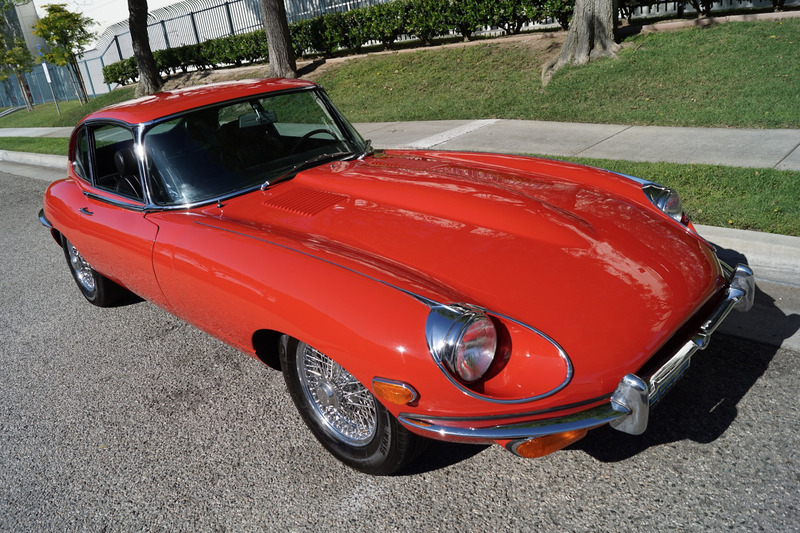 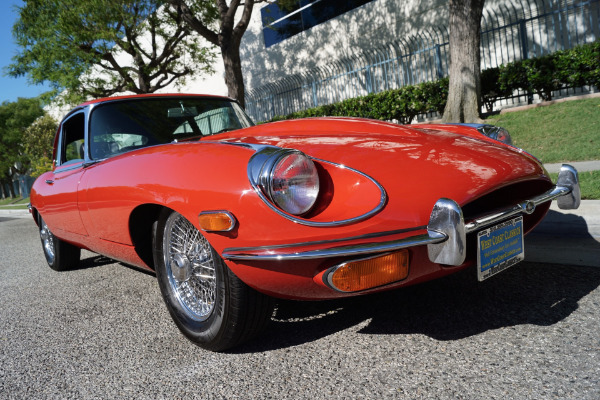 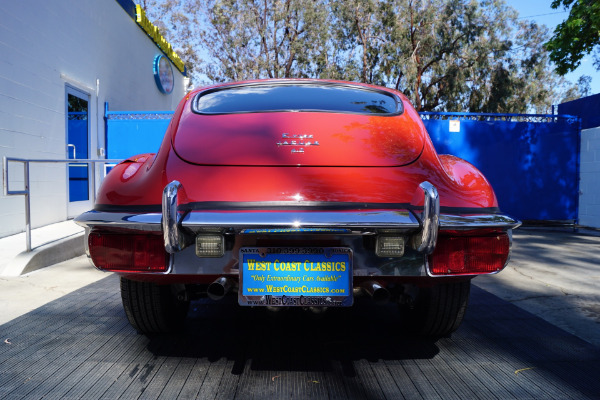 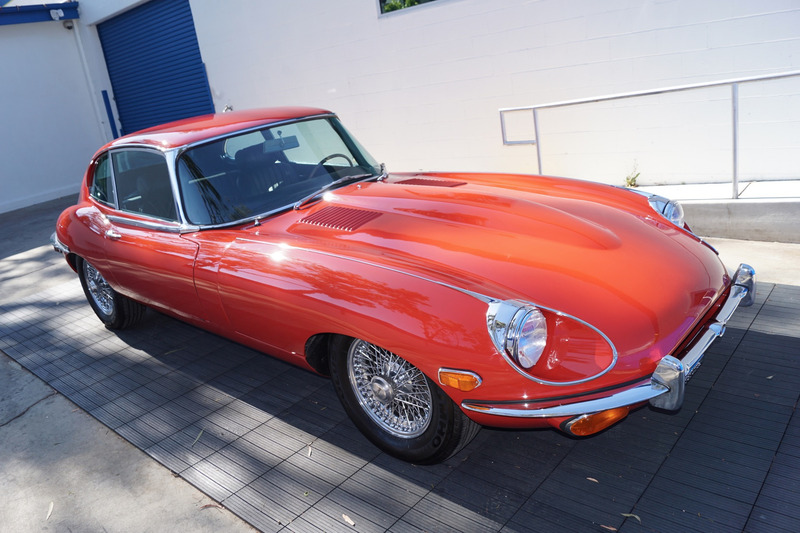 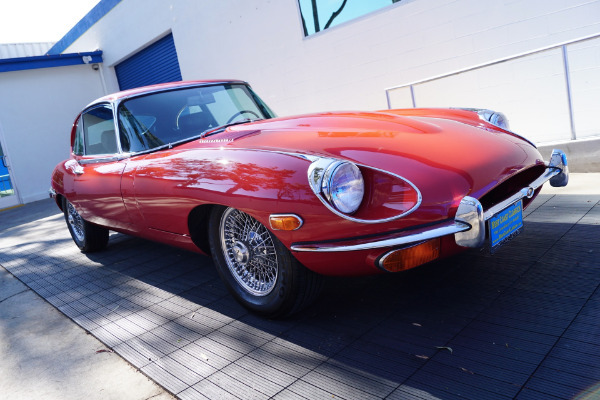 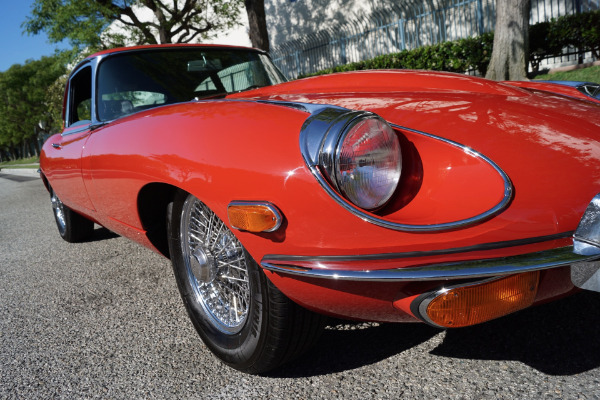 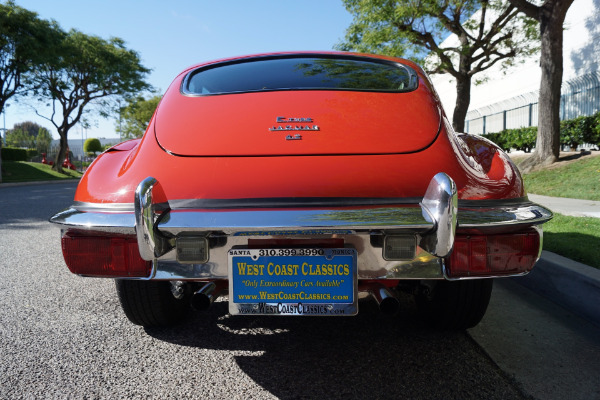 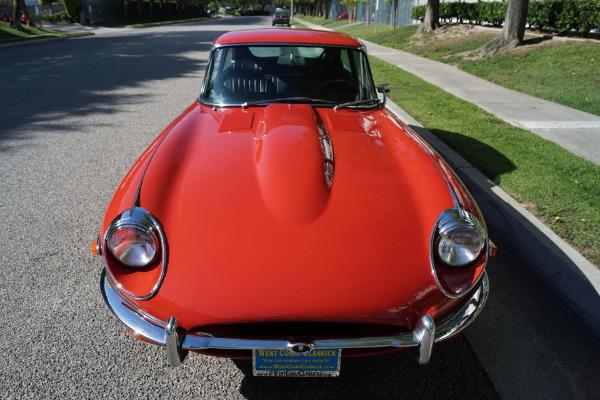 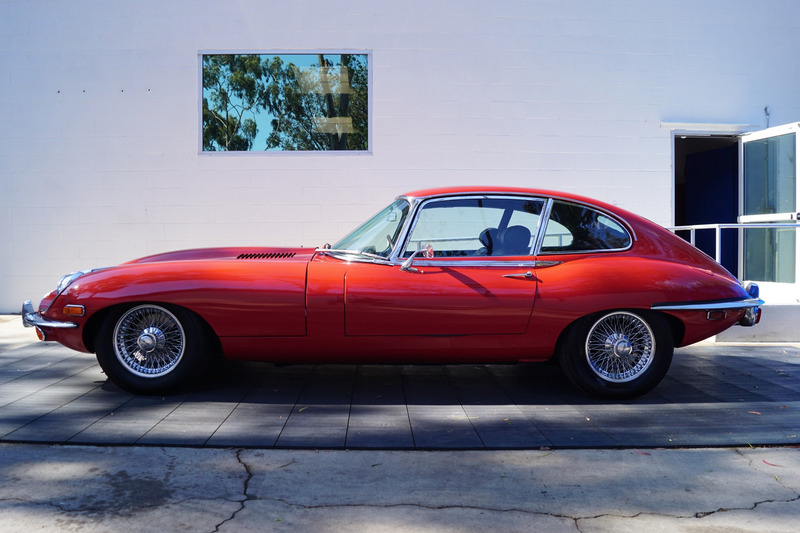 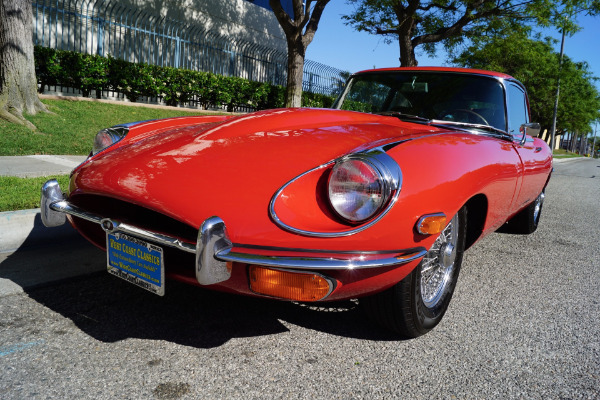 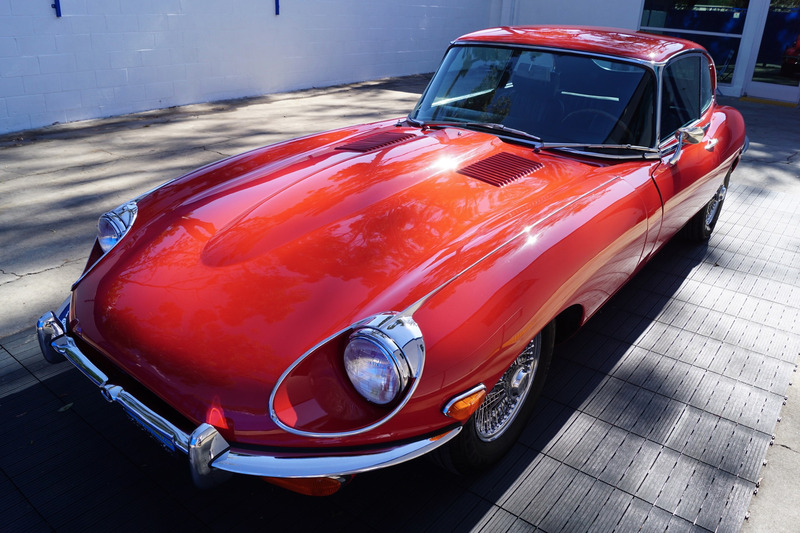 This is therefore an extremely rare opportunity to own a mostly all original unrestored and always rust free survivor 1969 Jaguar XKE Series II 4.2L 2+2 coupe with only some 75K original miles!